The Jeep Cherokee has been a popular model with College Station drivers for years, thanks to its impressive performance and variety of configurations. 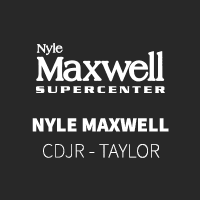 You can get behind the wheel of a Cherokee for less when you choose a pre-owned model at Nyle Maxwell CDJR of Taylor. Our used vehicles are each inspected thoroughly when they arrive on our lot, so you can be sure you're receiving a safe, quality vehicle. Not sure if a pre-owned Jeep Cherokee is the best choice for you? You can browse our full selection of pre-owned SUVs to broaden your search, or view our models priced under $10k to see our most affordable options.